Shipping Dimensions: 3" x 6" x 8"
1 AAA battery and the littleBits Base Inventor Kit are included. 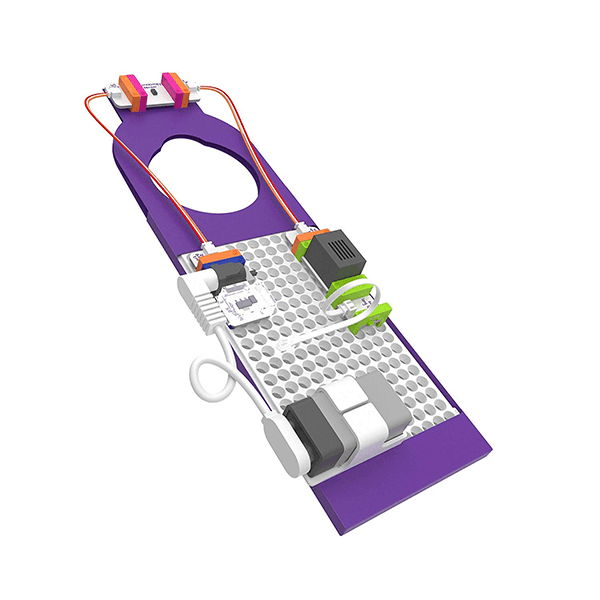 The introductory base inventor kit from littleBits includes everything creative kids need to turn their ideas into inventions! with a range of bits that move, light up, and make noise, kids gain steam (science, technology, engineering, art, mathematics) skills by learning how technology is built. 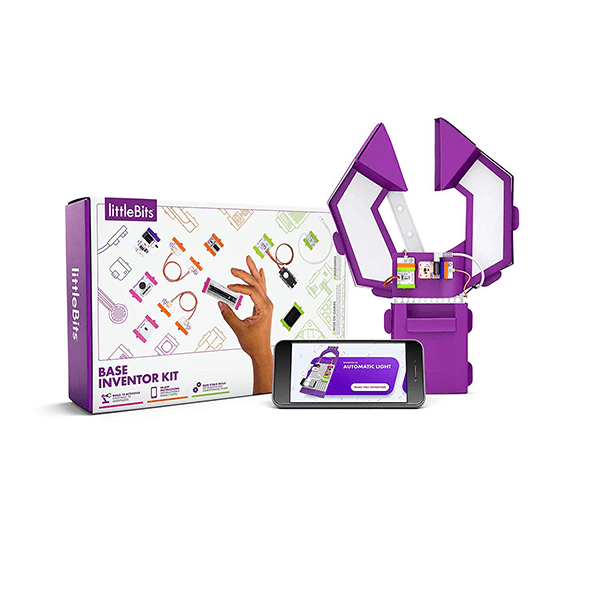 Over 12 activities in the free inventor app guide kids through building fun inventions, like a voice-activated robotic gripper arm or a room-protecting Intruder alarm. Then kids are challenged to create their own inventions to improve their room, help their community, or save the world. Through hands-on play, kids gain lifelong skills to become changemakers through invention. Product features include in-app instructions for over 12 activities, Tech sensors, paper templates, mounting boards, LED light, motor, stickers, free inventor app, and battery. If You Liked littleBits Base Inventor Kit, See More Related Products Below!